That's how supermassive stars like WR 102ka formed millions of years ago, it just requires a whole lot of raw materials. 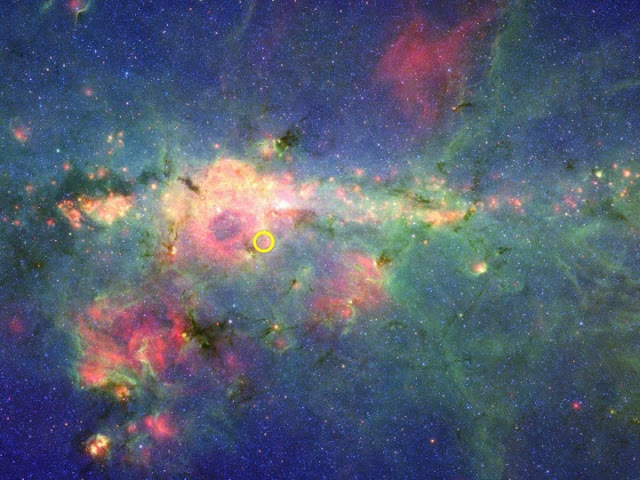 The thing about WR 102ka is that today it's out floating in space all by itself, isolated from any other nearby stars. There's been this persistent question as to whether it started out in a stellar nursery with dozens of sibling or it's always been out all alone, and if it was even possible . To the surprise of the researchers, it seems like WR 102ka was born alone. Astronomers trained their telescopes at the lonely star. Using infrared observations, the team first made sure was as bright as they thought, and there weren't any other stars hidden nearby (it never hurts to double check). They then wanted to see if they could tell whether it was moving, to see if it might have been thrown out of any one of three nearby nebulae. They looked for a telltale structure called a bow shock that would them tell how fast the star is going and what direction the star came from. The bow shock of a star in the Orion Nebula. 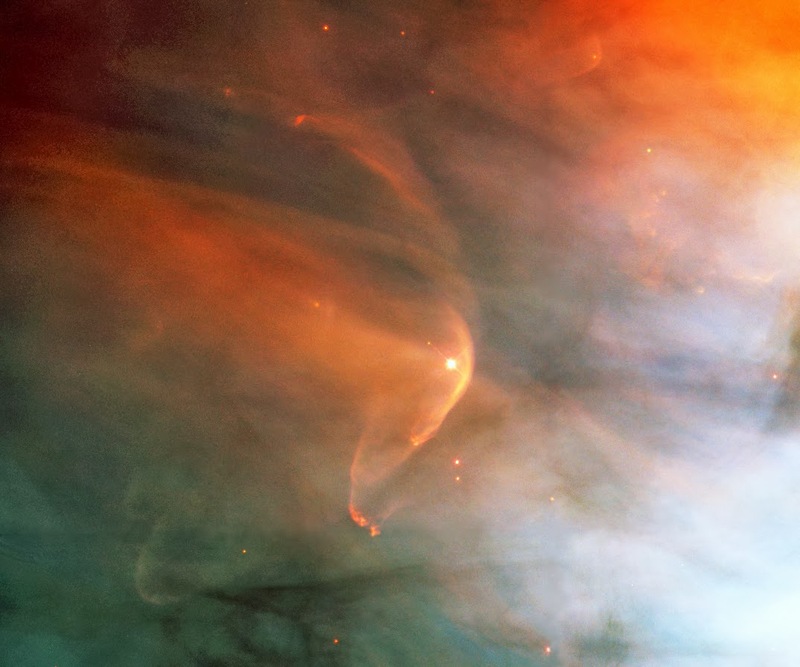 A bow shock is a kind of border that forms around a stat as it moves through deep space. They're the barrier between where the star's solar wind ends and interstellar space begins. If a star is moving fast, it forms a structure that looks like a rounded off arrow, little bit like when you drag your finger across the surface of a lake making a V-shaped ripple. However WR 102ka has no clear bow shock, so it isn't moving quickly and can't have traveled far from where it first formed. Not only that, but it's very young. Stars that shine the brightest burn the shortest and WR 102ka is one of the brightest stars in the galaxy. It's only about 2 million years old. For comparison, the Sun is over 4 billion. Even if WR 102ka was moving too slow to form a bow shock, there's no viable stellar nursery near enough that it could have come from in its short lifetime. their studies of different stars couldn't definitely rule out the possibility that the star formed elsewhere. The Potsdam team's research was first posted to the ArXiv, and will be published in an upcoming issue of the Monthly Notices of the Royal Astronomical Society.